About a week before Easter while walking my dog near Ohio and Noble street, I came across this. It brought a huge smile to my face! 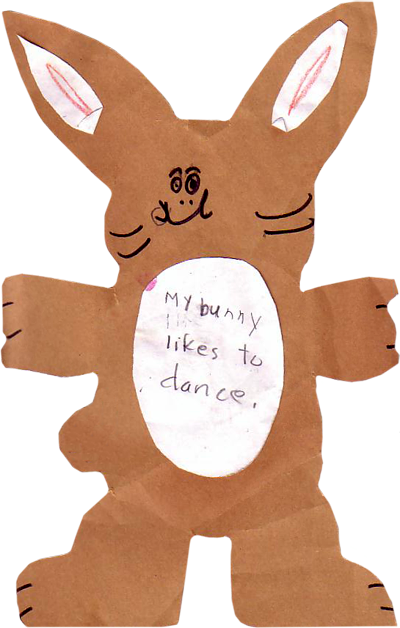 Unfortunately, a young child lost their Easter Bunny who likes to dance.